The Crista skirt has a different and fresh cut in the side with ruffles. And we love it! It gives some asymmetry to the otherwise plain black skirt. 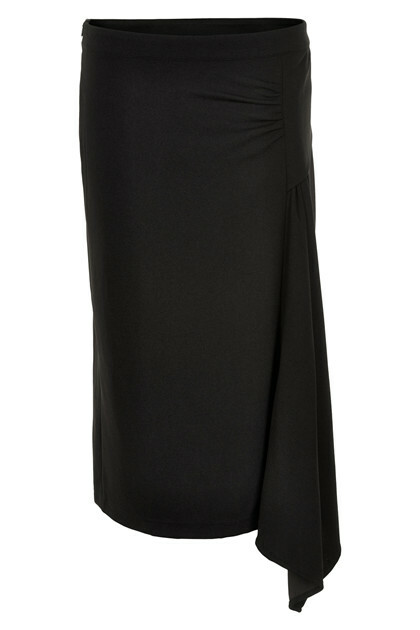 The length is midi, fits very well and has a small slit. There are many cool details in one skirt! It's only the bottom of the closet or the end at the clothes rail that can put a stop to the imagination with this beautiful skirt. So, you just start to mix and combine what’s in your closet with this pretty skirt!